Hi! Happy Hump Day. Happy home stretch of January (how did that happen?). Up this morning are three outfits from the Loft After-Christmas sale. I didn't go to the store, but instead hit the website and managed to score a ton of great deals. I think everything was at least 40% off and free shipping. It was as though they were paying me -- begging me -- to shop. So I happily obliged. I loved the color of this pintucked wine blouse. I thought it would be pretty versatile under suits, with skirts and even with jeans. It is on the sheer side, so I wore a cami underneath of it. I wore it with my grey mini (from the Loft outlet a few years ago), gunmetal grey tights from Target and my brown riding boots. 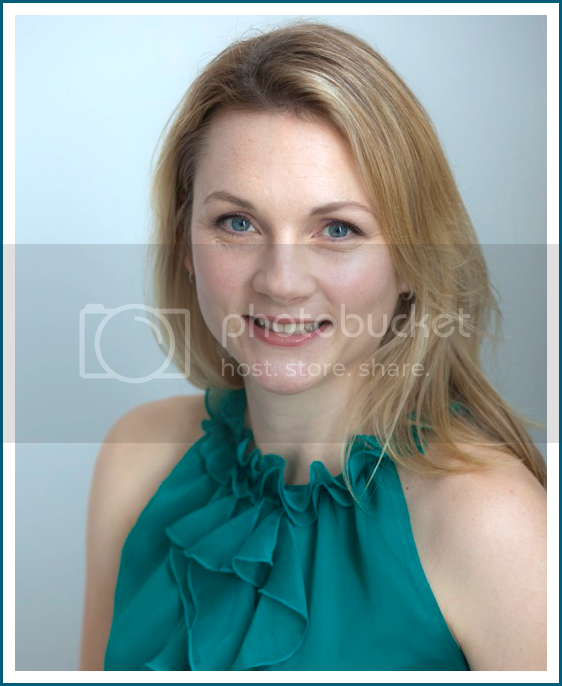 I swore I would not wear a peplum top - that peplum was too young, too trendy, too whatever. But this one from Loft sucked me in ... I liked the lines, I loved the neckline and I thought it might be a good fit with my really fitted pencil skirts. So I went for it, and I ended up loving it. I wish I had taken a side shot of the outfit because you can't really see the peplum here. But it looked very good with my emerald and black striped pencil skirt from Forever 21. I wore my black heels. I thought the lace detail on this Loft shirt was so pretty -- the shirt is cotton, but it's a very "fancy" cotton and can be dressed up. I like the structure on the shoulder too. 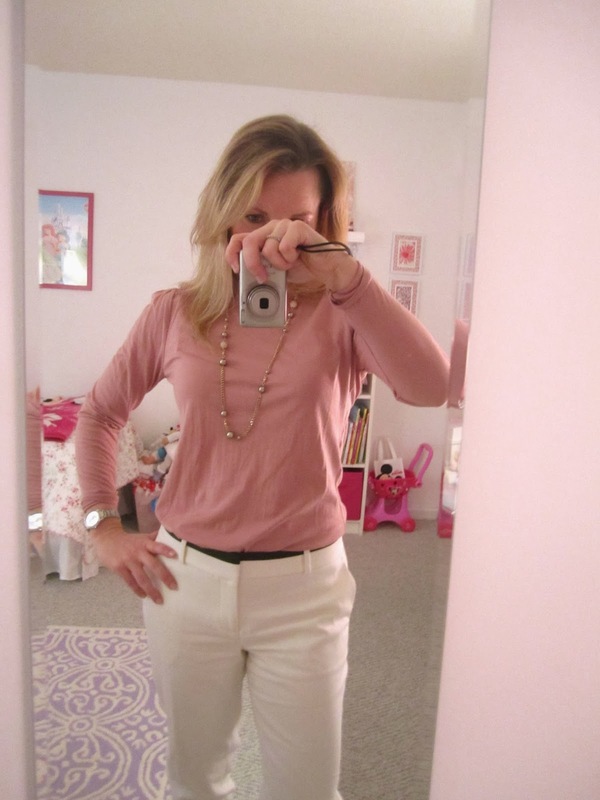 I wore it with my cream pants from Banana Republic (they have a black grosgrain ribbon detail on the waist). In love with whatever you wear.